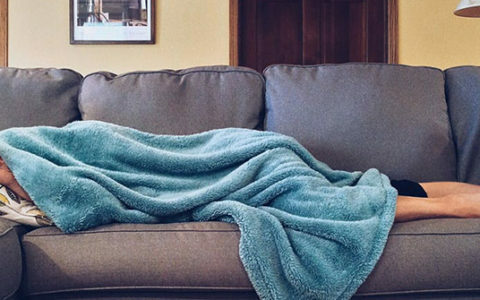 I usually opt for what most people call “natural” or simple supplements to help my sleep. I was first introduced to Valerian as one of the the ingredients in Sleep Blend SP-17 by Solaray. 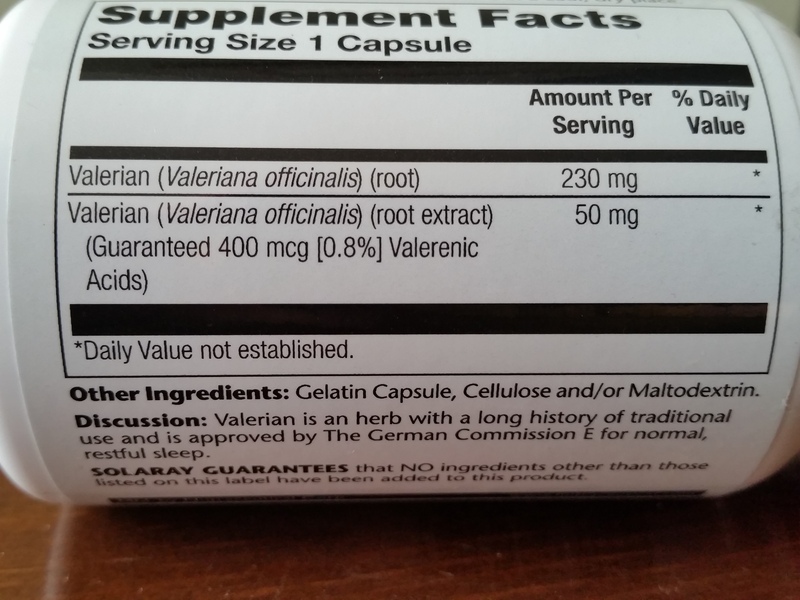 Sleep Blend has become one of my favorite supplements, so I decided to give the Valerian Root Extract by Solaray a try. Valerian has been shown by research to help sleep and reduce instances of insomnia in some subjects. Solaray has several lines of supplements and, as I learned when researching this product, their Guaranteed Potency (GP) Herbal Extracts identify not only the part of the plant the extract was created from, but also the potency of the active compound of the herb. Valerian is an herb with a long history of traditional use and is approved by The German Commission E, for normal, restful sleep. 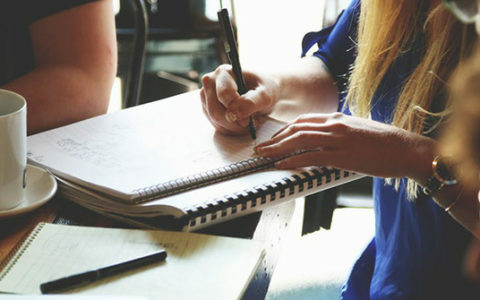 The German Commission E is a scientific advisory board responsible for analyzing substances and products traditionally used in folk and herbal medicine. These pills are comprised of both Valerian herb and Valerian root extract, with a guaranteed potency of 0.8% Valeric Acid, the active compound in Valerian. Valerian (Valeriana officinalis) — This fragrant herb has been historically used as a sedative and pain reliever, and was often prescribed by ancient Greek physicians as a treatment for insomnia. Valerian (Valeriana officinalis) (root extract) (Guaranteed 400 mcg [0.8%] Valeric Acid) — Also known as pentanoic acid, this chemical compound has a similar structure to both GHB — a natural substance found in human central nervous system that can act as an anesthetic and has been used to treat insomnia, depression, and to improve athletic performance; and GABA— a neurotransmitter produced by our brain is directly related to both reducing “excitability” in the nervous system, and muscle growth. In addition to the above, the supplement contains gelatin capsule, and cellulose and/or maltodextrin as a filler. Following the bottle’s directions, I took two of the fragrant gelatin capsules with a glass of water before heading to bed. The pills smell herbaceous and somewhat medicinal — the smell was reminiscent of the Sleep Blend-17, but a lot stronger. I felt calm and relaxed after taking it and was able to fall asleep quicker than usual. I did wake up a couple of times during the night, but was able to fall right back asleep. I woke up after 7 hours of decent sleep, alert and with no grogginess. 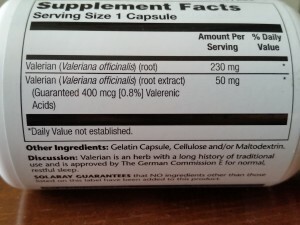 Valerian by Solaray is one of the mildest sleep supplement I’ve found, and I have experimented stacking it with both melatonin, with great results. Ienjoyed the calming “aromatherapy” effect the smell of the pills have on me, and will continue to reach for this supplement whenever I need a nudge to help me fall asleep. The instructions on the bottle don’t mention it having to be used at bedtime, so I will also try to take it during the day, on a high-stress day, and report back.